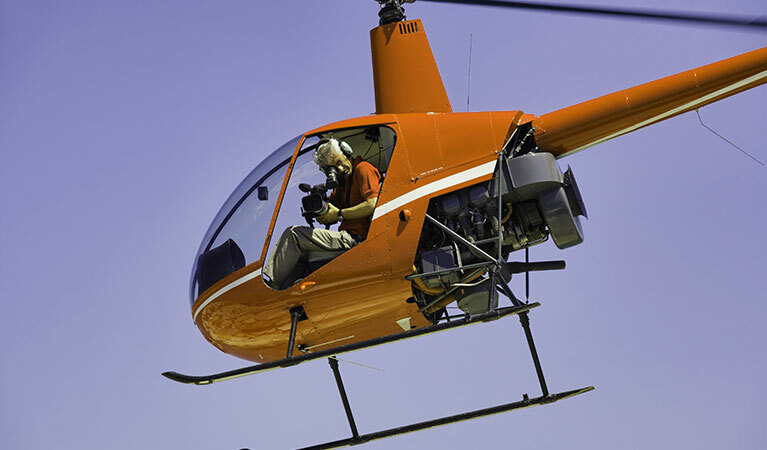 FairLifts arranges videography and photography services from helicopters throughout the nation, including in Indiana. If your business—regardless, if it is law enforcement, a real estate firm, or a natural preservation agency—needs aerial photography or videos, we have you covered. We only work with the highest qualified professionals who can get the job done and deliver only the highest quality services in the state of Indiana. In addition, we are connected to the latest in helicopter aerial technology, including GIS and LIDAR. Services available include wildlife surveys, surveillance, law enforcement help, and whatever else your business needs with regard to film and pictures. Our services are flexible and customizable to your needs. Indiana is a great place for aerial and video services. Indiana borders Lake Michigan, has a wide array of other land, including farms and forests, and gently rolling plains and river valleys. Whether you are looking to take pictures for real estate, to capture some of the natural beauty the state offers for your business, or perform necessary surveys, or surveillance, Fairlifts has you covered. Indiana is a great place for aerial photography and video services; FairLifts is a great provider of these services and only arranges quality services throughout the entire state of Indiana. If your business needs the perfect video or photograph in Indiana, look no further. FairLifts can arrange the perfect photo or video for your business. Get the high-quality aerial photograph or video you need. A helicopter can assist in mapping out an area. The timeliness of a helicopter when conducting an aerial survey and mapping out an area takes the pressure away from doing it from the ground. Often times an aerial view provides a more accurate depiction as well. A view from the ground can only offer so much. This is true when it comes to law enforcement efforts as well. Implementing a helicopter for law enforcement can prove a vital tool in collecting necessary information and scanning an area quicker than while on the ground. If you are looking to gather a wildlife census, going to the skies is the way to go. A helicopter's hovering ability and aerial view provides an accurate estimate when it comes to surveying wildlife. A few different methods can be used to gather accurate numbers. Call FairLifts today. We have members of our team standing by, ready to arrange the aerial video or photography you need. We manage calls 24/7 and are glad to answer any questions you may have or provide you with a quote for helicopter services.